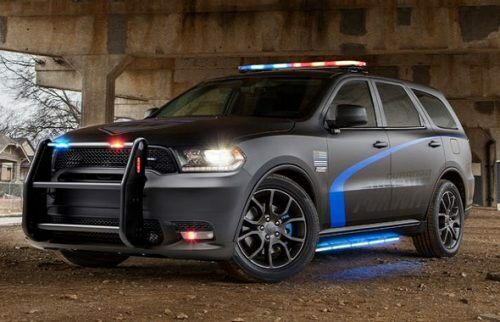 Interested in FCA Fleet law enforcement vehicles? Send us a request for a vehicle demo at your agency. 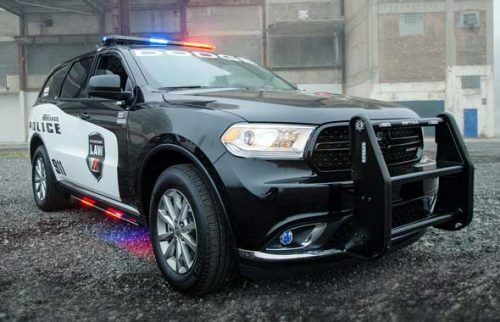 The Dodge Durango Pursuit, Dodge Charger Pursuit, Dodge Durango Special Service and Ram 1500 Special Service come together to create a purpose-built lineup designed to help protect those who protect us. Each vehicle offers proven capabilities and comprehensive safety and security features you can trust when duty calls. 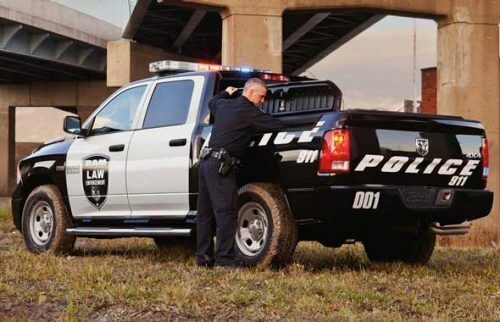 Every vehicle in our Law Enforcement portfolio offers multiple levels of protection and purposeful engineering. Safety and security features include: ParkView® Rear Back Up Camera, Rain Brake Support and Ready Alert Braking, a high-strength steel safety frame, available ballistic front-door panels and more. All officers rely on a partner they can trust, and our award-winning engines offer the power and performance they can count on. The 3.6L Pentastar® V6 engine delivers outstanding performance and impressive efficiency. When the job calls for a tough V8, few engines carry the legacy and command respect like the legendary 5.7L HEMI® V8 engine. All-Wheel Drive (AWD) is available on the Charger Pursuit when equipped with the available 5.7L HEMI V8 engine. Durango Special Service is available with AWD on both its V6- and V8- equipped models. 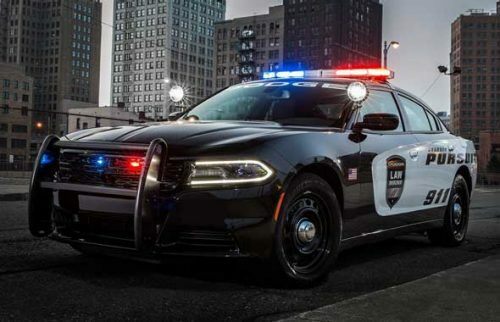 Equip your fleet with cutting-edge technology that is both functional and officer-friendly. Tech features include multiview full-color customizable displays, a Driver Information Digital Cluster Display with dozens of graphics that communicate vehicle data and available Uconnect® systems with hands-free voice-activated commands. In addition, the Equipment Mounting Bracket and the Patrol Package Base Prep allow for the addition of police specific communications and equipment. Our comprehensive Patrol Package Base Prep is tailor-made to address specific law enforcement needs. It includes a front and rear wire harness, a power distribution center, a siren speaker and bracket, a slide-out trunk tray and a cooling fan. 7,200-Pound Maximum Standard Towing CapabilityWhen properly equipped. See dealer for details. 10,170-Pound Maximum Available Towing Capacity and 1,520-Pound Maximum Available PayloadWhen properly equipped. See dealer for details. Available Class-Exclusive Rambox® Cargo Management SystemClass based on Light-duty Pickups. Available 7,400-Pound Maximum Towing CapacityWhen properly equipped. See dealer for details.